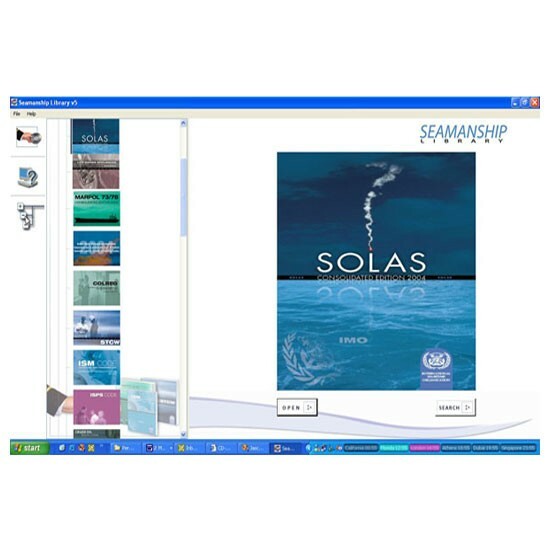 The Seamanship Library is a complete electronic library for the maritime industry, containing well over 60,000 pages of essential International Regulations and marine guidance! 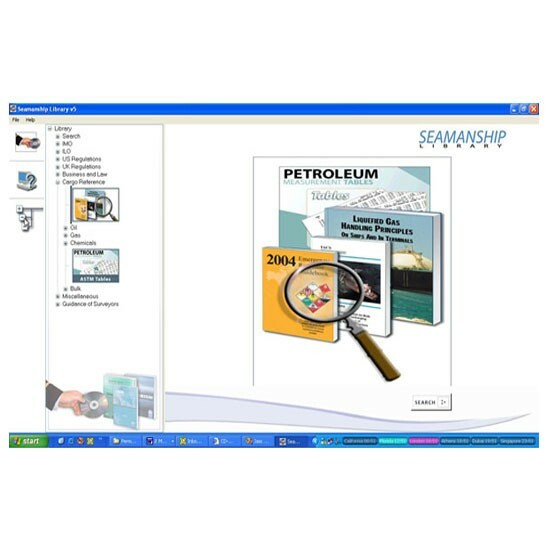 The software contains a bookcase of maritime books and guidance material - all accessible from your computer. The vast quantity of essential reading material is fully searchable, saving hours of manual browsing – the reader can find what they want in seconds. IMO publications like MARPOL or SOLAS. Cargo Reference documents like ISGOTT, Liquefied Gas Handling Principles On Ships And In Terminals or the CHRIS manual. UK Merchant Shipping Notices, SIs, COSWP. Regulations from USA, Bahamas, Marshall Islands, Cayman Islands, Denmark and Singapore. MCA Instructions for the Guidance of Surveyors. For a full list of the contents, please contact us. Windows XP (SP2/SP3), Windows Vista & Windows 7 (32-bit / 64-bit) Operating System. With Windows XP, Microsoft .NET 2.0, 3.0, 3.5 or 4.0 is required on the PC. Microsoft .NET is preinstalled in Vista and Windows 7. 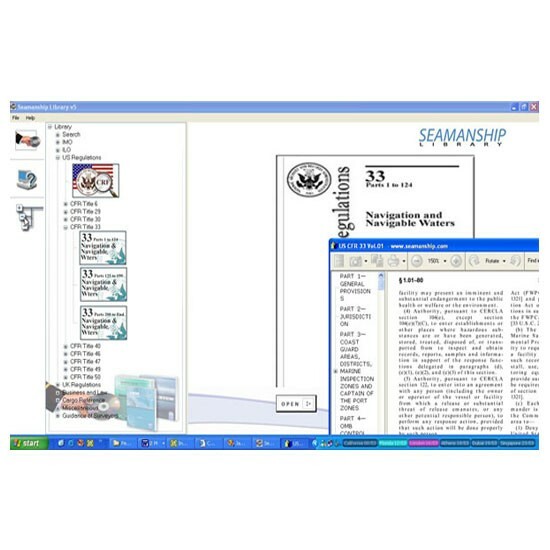 Administrative rights on the computer are not required to install Seamanship Library except if .NET needs to be installed or upgraded. Hard Disk space required by the program is 2 GB (approx). DVD-Drive (the DVD itself is not protected so the installer can be transferred via a USB memory stick or via a network). Windows XP SP2/SP3, Windows Vista and Windows 7 (32 bits or 64 bits). Microsoft .NET 2.0, 3.0, 3.5 or 4.0 (administrative rights on the computer are required to install or upgrade .NET). .NET is preinstalled on Windows Vista and Windows 7. The network version can be installed on a shared network folder where the users have write permission. A DVD-drive to copy the files to the shared folder (the DVD is not protected so the files can be transferred via a USB memory stick or across the network).